Drew Baldridge Exclusive Fan Appreciation Breakfast On Sale Now! 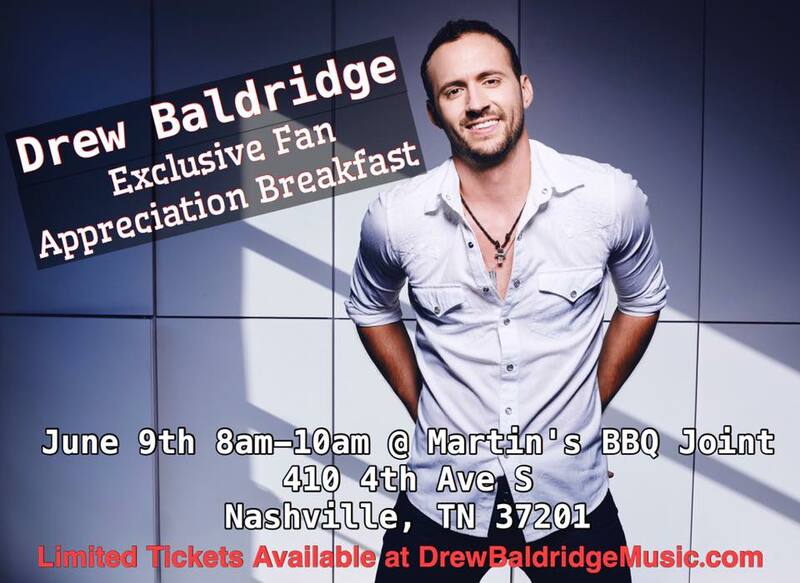 Drew Baldridge will holding a fan appreciation breakfast at Martin's BBQ Joint on Friday, June 9, 2017 from 8 to 10 am! Your $25 ticket includes:breakfast, gift bag, and an intimate performance by Drew.